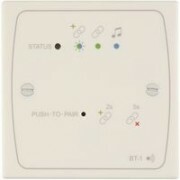 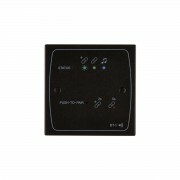 BT-1EB: Bluetooth Active Input Plate for Cloud DCM1 & DCM1e Models. Type: 1 Gang UK, Colour Blac..
BT-1EW: Bluetooth Active Input Plate for Cloud DCM1 & DCM1e Models. 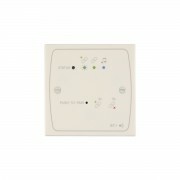 Type: 1 Gang UK, Colour Whit..
BT-1FB Bluetooth Active Input Plate for all Cloud Models with Facility Input Port (Z4/8, 46-Series) ..
BT-1FW: Bluetooth Active Input Plate wit for all Cloud Models with Facility Input Port (Z4/8, 46- Se.. 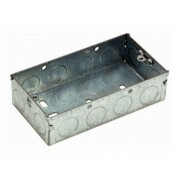 Cloud 2 Gang Dry Line Backbox plastick ..
RECEMETAAL / 2GANG metalen inbouwdoos, 35 mm inbouwdiepte,LE-1, BE-1, ME-1, LM-1, CDR1F ..
De Cloud 36/50 combineert een 2-kanaals versterker met 3 uitgangen met 100 volt optie met een simpel..
De nieuwe Cloud 46-120 4-Zone Integrated Mixer Amplifier biedt eenvoudige directe verbinding van twe.. 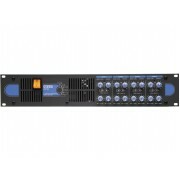 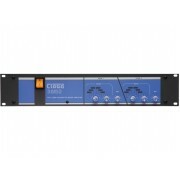 The 46-120 4-Zone Integrated Mixer Amplifier offers simple direct connection of two microphones and .. 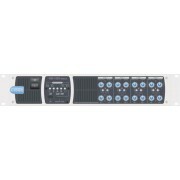 The 46-120Media 4-Zone Integrated Mixer Amplifier offers simple direct connection of two microphones..
De Cloud 46/50 combineert een 4-kanaals versterker met 100 volt optie met een simpele meerzone mixer..